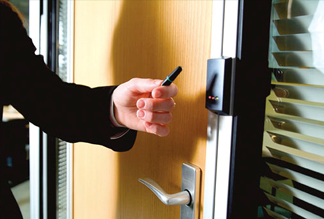 A properly designed Access Control System will identify credentials of users at all entry or exit points of multiple facilities, a single building, or an individual room. Multiple users can be assigned access privileges system wide, selectively, or via a time schedule. Access Control Administration can be accomplished via LAN, WAN, or a dedicated PC. All of our Access Control products can integrate with our Digital Video and Intrusion Detection Systems.